This entry was posted in Technology on November 3, 2017 . Firebase is a collection of services offered by Google in order to help us build better mobile apps and websites. 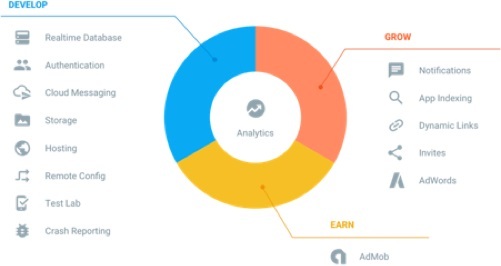 This platform was developed by Firebase in 2011, then acquired by Google in 2014. The announcements made at Google I/O 2016 made Firebase a very important piece in the Google ecosystem which integrates a part of the previous services and also brings new ones. 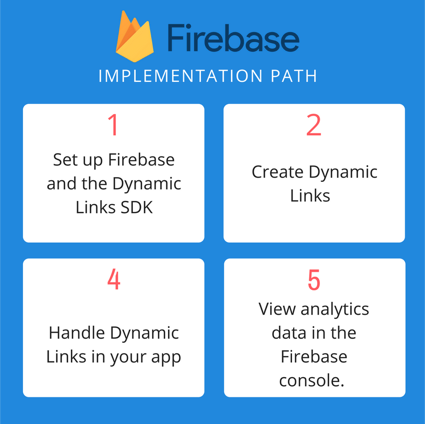 In this article we will focus on the Firebase Dynamic Links – the functionality that allows us to provide deep links which are able to survive the installation process and more other interesting features. The deep links concept has been trending over the past years. The concept is simple: a deep link is any link that redirects the user to a specific page in a website or to a specific screen in a mobile app e.g. linking directly to a product details instead of the home page. Deep linking appeared in media around 2006 to describe the growing practice of providing Google (and other search engines) with visibility into pages beyond the home page. But deep linking has a limitation: it does not work for the users who have not installed the app. 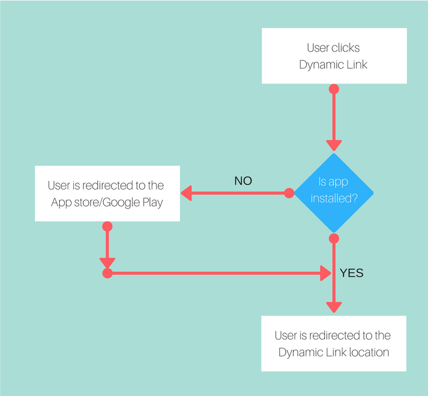 In this scenario, Firebase Dynamic Links can offer you a right solution. Dynamic Links works across any devices and platforms: iOS, Android, desktop and mobile web. Users that click links will be taken to the Play Store or App Store if the app isn’t already installed or to a specific screen based on the implementation for each scenario. We are able to create a dynamic link that will be able to redirect the user to appropriate platform. By clicking on that link the mobile app users will be redirected to the native app and the web user will be redirected to the assigned website for that specific content. But this behaviour could be customized. In case that the user does not have the native app installed, we could take him to the Google Play store or App Store to download it or take him to content on the mobile web version of that app. And if in the dynamic link we decide to send other info, that info is still available when the user opens the app after installation.